The Union Cabinet today approved the proposal for taking over of the Centre for Earth Science Studies (CESS), an R & D Centre of the Kerala State Council for Science, Technology and Environment (KSCSTE), Government of Kerala by the Ministry of Earth Sciences (MoES), Government of India. The main objective of the proposal is to conduct and promote basic and applied advanced research in the frontier areas of earth sciences with particular emphasis on solid earth. The taking over of CESS will considerably augment the MoES` research programmes in the field of earth system sciences. CESS will carry out multidisciplinary research in frontier areas of solid earth science and will provide services on a nationwide scale by applying this knowledge for sustainable development of natural resources and management of natural hazards. The proposed thrust areas of research will be crustal evolution and geodynamics, sedimentology and depositional processes, coastal dynamics and cloud microphysics. The takeover is expected to significantly strengthen CESS’s capability to undertake research in frontier areas of earth sciences, and provide a solid basis for future investment in its research programmes and infrastructure. This will also help for more collaborative research programmes with national and international institutes. In addition, the taking over helps in better utilisation and sharing of resources and tools available within the various R & D centres of the MoES and other ministries. The total estimated budget requirements of CESS will be Rs.128.67 crore for the remaining period of the 12th Five Year Plan. Research & Development activities of CESS would benefit millions of people across the country by way of increased knowledge of earth processes, better predictive systems for natural hazards, development of natural resources management plans, increased access to thematic maps, etc. Research activities of CESS will cover the whole country with particular focus on south India. At present the various units/centres under the MoES are focused on R & D on the ocean and atmosphere components of the earth system, and there is no unit that is actively pursuing research with specific aspects of solid earth. The takeover complements the Ministry`s plan to expand its research activities in the field of earth system science. Background: The CESS, as a scientific establishment, has embraced the earth system concept and has done extensive R & D work in the geosphere, hydrosphere and atmosphere. The institute has undertaken several frontline research programmes aimed at understanding the earth system in its totality, from its evolution to the present status of its resources. The studies so far have contributed a great deal in addressing and understanding the geological evolution of south India, complexities of the coastal processes and natural hazards as well as in proposing mitigatory measures to deal with natural hazards. Recognizing the growth potential of CESS and realizing the resource constraints of the State Government, the Government of Kerala came up with a proposal for taking over of the institute by the Central Government. 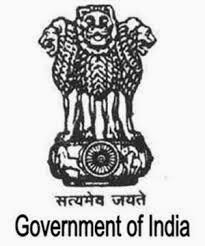 The Ministry constituted an Expert Committee with Dr. P S Goel, Prof. M.G.K. Menon DRDO Chairman and Former Secretary in the Ministry as its Chairman, to examine the request.